This post is filler. I didn’t know what to write about on Thursday, so I decided to do some research and learn about a Canadian national holiday – Victoria Day. It’s a statutory holiday for us Canucks, but not too many of us know what it’s about. So here is a list of twelve things I bet you didn’t know about Victoria Day, and then a brief summary on what I plan to do about it myself. Savvy? And here we go. I’m going to keep these facts, short, topical and entertaining, but if you think of any better ones, be sure to let us know, after all, we try to keep it classy here at timotheories. Victoria Day is a Canadian holiday celebrated on the last Monday preceding May 25, in honour of Queen Victoria’s birthday. As such, it is the Monday between the 18th to the 24th inclusive, and thus is always the second to last Monday of May. The date is simultaneously that on which the current royal Queen’s official birthday is recognized (for instance Queen Elizabeth II’s birthday is April 21st). We also sometimes consider this an informal start to summer season in Canada. Canadians have been celebrating the date of her birthday since we became a country in 1845, and it legally became a day off when she died in 1901. Victoria Day is most definitely a Canadian festivity and is not widely celebrated in the British Isles, though the Scottish and some English do partake. For one reason or another, likely old hurts, the Quebecois do not celebrate Victoria Day, and for years chose to celebrate Fete de Dollard, after the French hero Adam Dollard des Ormeaux who won a battle with French soldiers against Iroquois in 1660. Now they celebrate National Patriots Day instead. The original celebrations of the holiday took place annually on May 24th, no matter what day of the week that was, excepting Sunday. In which case the holiday was moved to the 25th of May. And this changed to the current structure in 1952. Political figures and hip hop artists of today could take some queues from Victoria as she was able to stave off more than six assassination attempts on her life. Famous for wearing black before Johnny Cash. Victoria went into seclusion in 1961 after her husband Albert died, and was in mourning for a very long time, not getting back into the public until the early 1870s. There has been great speculation that she later privately married her Scottish butler John Brown. Before they were abolished in 1968, 21 gun salutes were commonly fired in Ottawa and the provincial capitals on Victoria Day AND and a number of other important Queen days – actual birthday, accession day, and coronation day, for instance. An important mark in fashion, summer clothing is traditionally worn from Victoria Day through until Labour Day… Hence the expression, don’t wear white after Labour Day. Canadian band Rush, British band The Kinks, and British musician Paul McCartney of Beatles fame have all written songs about the queen Victoria. Which hasn’t been done officially since that time. A day for all Canadians, Victoria Day is often celebrated as May Long in the common vernacular, and that’s okay in my books. But we should of course be aware of our history, and do our best to consider it as we each move forward in our own endeavours. I, for instance, will be spending the May long weekend working on interviews, editing episodes of Cross Talk, Watch Culture and Just n Time Games, watching movies, and making art. And so should you creative cuties, and so should you. Thank Victoria for the true north, strong and free, because she was instrumental in helping to shape this great nation of ours, at least that’s my theory. When laying down a canvas, I think it’s important to set the foundation first, usually with white gesso, but sometimes simply with some soft gel. Almost every visual artist will tell you same, unless they are painting on paper, mylar, or some other strong gripping surface. Then again, said artist might not even want to create an archival work OR rather the degradation of the work is key to the process. Whatever the case we understand the basic of what to start with. After that decision is made, I start applying broad strokes to block in shapes and highlights, carefully choosing colour(s) which will give a tone to the story. Once that step has happened and I’m confident in my decisions, I begin the process of focusing on areas of the painting, slowly laying in or uncovering details and telling stories within the story of my canvas. It’s easy to get caught up in the romance of it all, so I’ll spare you that as best I can. This might seem like a common practice, but there really are a lot of different ways to make a painting. Truth be told, no two artists will tackle it the same way, even if we pretend subject matter and material choices are the same. And frankly, I don’t expect marketing to work in a catch-all matter either, even though many people think it’s a simple process. And given my personal experiences with it, once you set the foundation, just like fine art, marketing comes down to taste, experience and the message to be delivered. Way way back in November 2016, which feels like ages ago, I met a beautiful woman and we had our first date. It was wonderful, and she is very special to me, when she reads this post we will have passed our 3 month anniversary, and I couldn’t be happier about it. Right, I promised no more romance. Well, I’ll just try this one more time. Way way back in November 2016, I wrote a post about Facebook. Now at the time, I didn’t expect to cover the whole social networking service in one post, so I decided to break it up into several parts, aptly naming the first part, Facebook pt. 1. And like any good franchise, I’m going to immediately deviate from that pattern and set out to call the next set of posts Facebook How-To … (insert topic here). Clever right? Yeah, I’m usually pretty clever, but it all depends on what I have else I have going on upstairs in that old noggin of mine. Which I think makes perfect sense, and even if it doesn’t immediately make sense for you, you’ll find a workaround I’m sure. Let’s talk about Facebook pages my dear, sweet, and wonderful readers. 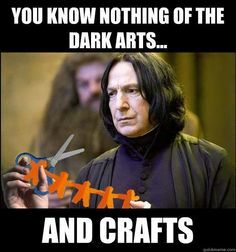 You creative cuties, you. I’ve said this once before, but Facebook pages are to individual profiles what corporations are to small businesses. This is where you share content with your followers and get them involved in your personal brand. You have to set up your business page if you want to get to the ads step, so do that first. Then focus on lifestyle over product. You also want to be actively involved in comments and service… this can include incentivizing your user base and sharing user content too. Build your community by focusing on your members and how the page provides value – This means using the page as the voice of your brand, but always eluding to insights that are available for people who have purchased your product(s) to make them feel special. You don’t have to treat page likes based on sales, but exclusivity is important. Then focus on followups for customers in PMs and for answer questions when you can. Discuss current events and promote events too – But I would add that you keep it relevant to your user base at all times. People will get frustrated if you talk about sports when that’s not in your business mantra, for instance. Communicate with your biggest fans. If you build strong relationships with those who love you, they’ll reach out for you, but it also allows them to network WITH EACH OTHER. Like attracts like as the old adage goes. And if you have team members, it gives them a place to function as ambassadors and stewards of your brand. The biggest takeaway from all of this is to keep your page active and allow people to participate in a discussion, much like how a Facebook group is forum for it’s user base, the Facebook page is the podium. It allows you to build trust with your fans and become a representation of your brand. Obviously I’ll spend some more time in the future on success stories, but for now, you have some foundation to set up your canvas. I hope you can keep on rocking in the free world creative cuties, and I’ll be back tomorrow with a story about a concert. It’ll probably be romantic though. I have probably played way to much Magic: The Gathering and other fantasy based games growing up my friends, because I always want to equate myself with a particular element of nature and just run in the general direction of that thing to better equip myself for the stresses of life. According to astrology and palmistry fire seems like the natural choice, while other personality tests and chinese zodiac results lead to that of the earth. So I guess that means I’m geared for the life of the country AND the city, but not so much high up or near water. To be honest I think that we should make decisions about our physical environment based upon our interests and what inspires us. So if you need to be out in nature in order to be creative, do so, and what that natural environment looks like to you is also relevant, then seek it out. Today, we go over the importance of your habitat, climate, scenery, terrain or surroundings. That’s right friends, a new month, a new post inspired by the OECD index which I was initially led to in the first place by the folks at Post Consumers. But this time dear readers, I have decided to focus on the importance of environment for artists and give you some options to consider in your quest towards health, wealth, and happiness. Because while frugality and conservation of resources are important for the planet, your mental space needs to be taken into account too. Yes, believe it or not, if you look out for yourself and a lot of other things begin to fall into place. But what does that look like, you ask? Well, like anything in life that depends on what you are about. So why don’t I give you the rundown of some things to consider, via a handy list, and you can decide for yourself if you’re on the right track to health, wealth, and happiness. Before we get too far along, I need to clarify something. While I do think that New York city is a great place to live, and while my subject headings in this post so far are really hinting at NYC as a one stop shop, that’s just not true. And no, I’m not leading you towards Los Angeles either. Instead I want you to look over some questions and the corresponding key words, and think on what kind of creative professional you need to be. All of these factors will help lead you towards an answer, and lead you towards creating a sustainable lifestyle. Is it important to you to attend parties? Think street parties, exhibitions, murals, fairs, and citywide events. What about a structured living situation? This could include open-concept loft apartments, industrial towns, and attending art museums as well as galleries. Does the place you live in need to be warm all the time? A daily does of street performers, dancing, food eaten outdoors, curbside coffee shops, and urban graffiti go a long way. Could you experience a wide variety of activities and room for contemplation? Where does live music, onsite food trucks, post-secondary education, libraries or urban sprawl fit in? Would economic stability be essential? If you like quirky shops, breweries, cheap rent, and post-grad couture. How organic is your palette? Farm-to-table, organic groceries, yoga, countryside views… Do those terms grab your attention? Are you inspired by other mediums? If film, audio recording, performance, and site specific works are your thing, consider your location. Does interacting with your immediate space matter? For when you need to make guerilla art, partake in festivals, induce public art participation, and convert odd spaces. When do you choose to collaborate? Artist run centres, art collectives, creative clubs, and meet-ups are all options. While not comprehensive, these are all great factors to consider in the much larger picture that is the artistic environment which you call home. I can dedicate a lot of time to any number of these aspects, but you need to start somewhere after all. Well creative cuties, have you got your terrain locked down yet? I hope you spend some time with this one because we all need to work in spaces which are inspiring, comfortable and accessible. Like so many of these themes that tie into the OECD, environment has value. It may be my theory, but it should be yours too. That’s it for now, I’ll see you tomorrow with a timely update. Everything you wanted to know about Pinterest, but didn’t know you wanted to know, in a thousand words or less. Way way back in roughly 1500 BC, somewhere in Mesopotamia, the tool we commonly call scissors was invented. Scissors are used for a number of reasons, from agriculture and animal husbandry, to food preparation, to body grooming, to metalwork, to medical work, to clothes making. We don’t even realize how often we use them in our lives, because they have been around and integral to all kinds of cultural activities. If we fast forward to westernized culture from the 20th century, people were scrapbooking interesting pictures of their dream house, that wedding dress they wanted to hand-make, all of the chili recipes they could get their hands on, a group of furniture pieces collaged together that a future living room would feature, lists of exercises, movie ticket stubs, travel photos, articles about Clint Eastwood and Helen Mirren, you name it, people saved it in a book. Then the age of computers rolled around, and we went from storing paper, to saving images. We all did it. There was a folder labelled Photos, another labelled Photos 2, Nice photos, Brad’s images, and Family Trip ’03. But even that phase of saving images was not destined to be a force majeure for long. Eventually social media started to develop and digital connectivity pushed forward to allow for new ways of sharing information. Especially images. That was 6 years ago. Then one day in March of 2010, a new website launched which was touted as a way to save images and categorize them on boards. The website also allowed users to share boards, and save others content in their own boards. And best of all it was free to use. Pinterest is a rather elegant and simple solution for something which we’ve been doing for generations, but now we have the ability to make our scrapbooks shareable and even use them for digital storefronts of our brands and products. Recently CEO Ben Silbermann has identified the web and mobile app as a catalog of ideas. Which as we all know, appeals to me greatly. This article by Wired probably says it best, but I think this section of the article is particularly important in understanding what Pinterest does so well. Pinterest is very simple while being intuitive and allows you to choose how much of an investment you are willing to put forward. It is infinitely customizable, but rather than waxing poetic, why don’t I get technical for you friends? 2. Your Profile I highly recommend creating a username that either aligns with your existing accounts AND/OR with your company name. You should also consider using the same photo as well from other accounts too. 3. Your Settings. Spend some time messing with the email notifications and decide whether you’ll receive emails for likes, comments or repins. I would also recommend installing the Pin It button so that you can add content anywhere and anytime to Pinterest. 4. Adding Pins. This is pretty straightforward, but you can either save a pin from Pinterest or if you are on another website you have the option to pin images when you hover over them. Some browswers like Chrome has a Pinterest button at the top of the page which groups all of the images on a webpage for you to choose from. Once you’ve saved a pin, you can choose a board to pin it to and also write some info about the pin. 5. Adding Boards. Almost as easy as adding a pin. Depending if you come from your profile or elsewhere on the internet, you can either click the “Create a board” or “+” buttons. I recommend giving your board a clear name so that your followers know what they are getting themselves into when they check it out. You can also add other pinners to your boards, and even decide if these boards are private or for public consumption. 6. Like & Comment. This is useful when you like content, but don’t want to pin it. This way, the pinner gets some feedback and you can carry on. 7. Uploading Pins. This is specifically for your own content. Click the “+” button and follow the directions to add from a URL or via direct upload. What do you think folks? 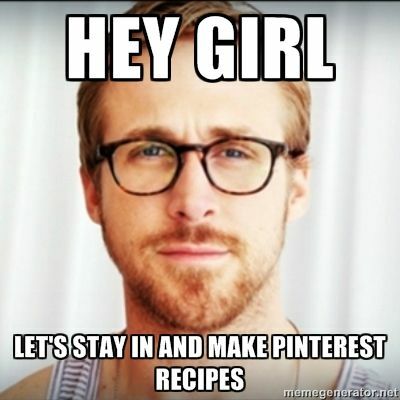 Did you learn something about Pinterest? I hope you take the time to set up your account because no matter what kind of artist you are, there is value to be had in using a digital catalog of ideas. 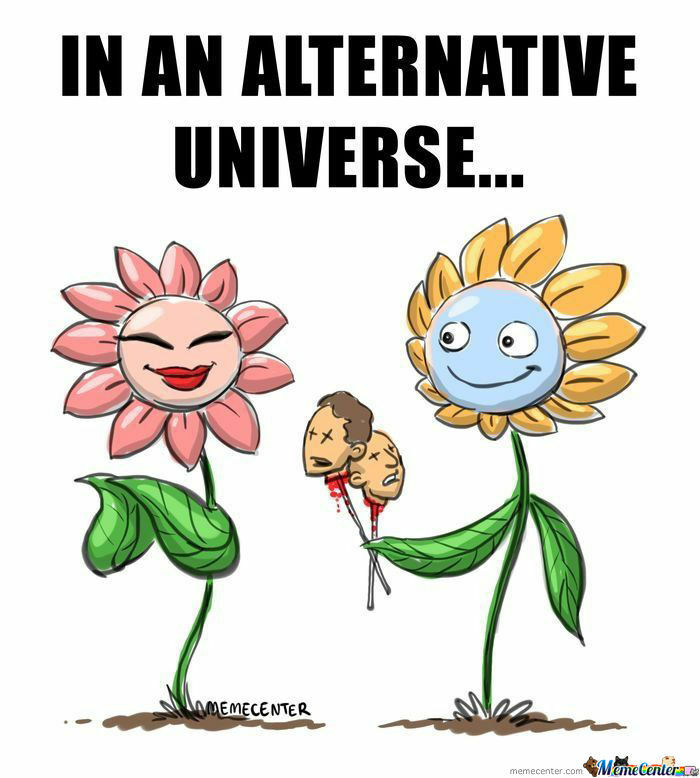 But that’s just a theory. I’m a big fan of lists, process improvement, discipline, personal development, branding, and having a purpose. These are expressions I’ve honed over years as both an artist and a marketing professional. And wisdom often denotes that if you want to continue to evolve you must change too as other successful people before you have changed. 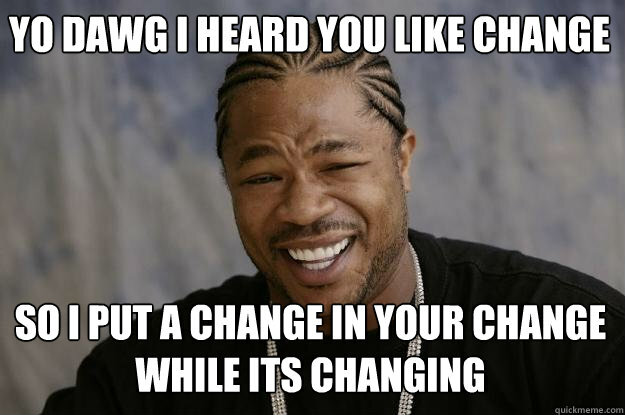 I do have to say something in earnest though, change is important and while that particular Xzibit meme pokes fun at recursive things, it also manages to be meta about the concept of change. As the old adage goes, the only thing constant is change. A couple of weeks ago I shared a hint of a vision with you, as it seems I so often do. And it is Wisdom Wednesday after all, so a vision seems appropriate. Where was I? Oh right I have a vision, a pet project, a task I am undertaking myself and which I seriously think all creative types would benefit from pursuing as well. This project doesn’t have a name just yet, but for now, I’m going to refer to it as meta-reading. I’ve decided to tentatively call the vision as such because I know that I am going to be reading a minimum of one book a month. My rationale about said meta-reading is that I will also be writing about the act of reading, my relationship to the author I’m reading, and how my opinion of them and the work changes over time. I’m following this course because we don’t all consciously consider the act of reading. And we should. Most of us either do it or do not – which would make Yoda proud, but wouldn’t create well-rounded individuals. So, I want to dedicate at least one post a month to a behemoth of creativity, one who I believe can provide you who some wisdom and help you to grow into the role you were meant to play, that of creative professional. I’ll admit first and foremost that this theory I have, that creativity is attainable by all, is not a new one, and I carry a heavy heart in sharing the knowledge I have gleaned from others and of course that which I personally pass on to you several times a week. Which I why I’ve decided to start off the project of meta-reading by examines one of my favourite authors of whom I have never read anything by, but whom has been quoted and misquoted so many times in the history of writing since his contributions, and whom has been referenced in popular culture again and again. That’s right, I’m reading a book by one Ernest Hemingway. He has been called many things, from champ, to papa hemingway, to tiny, but Ernest Hemingway was one of the most influential writers of the 20th century. And he lived a very rich life. Unfortunately his depression ended up killing him in the end, but that is not why I want to read one of his books. I want to understand why he influenced pop culture the way he did, and quite frankly I want to gain some wisdom myself. Which is why my task for you over the next couple of weeks is to join me as I read Hemingway’s first novel, The Sun Also Rises, and next month I’ll talk about the book, provide a little background on him and my thoughts, and do it again with another creative type. Sound good friends? And that’s all of the theories I’ve got for today. Please subscribe to the blog, leave some comments, and share with your artist loved ones. I’ll be back tomorrow with something timely.